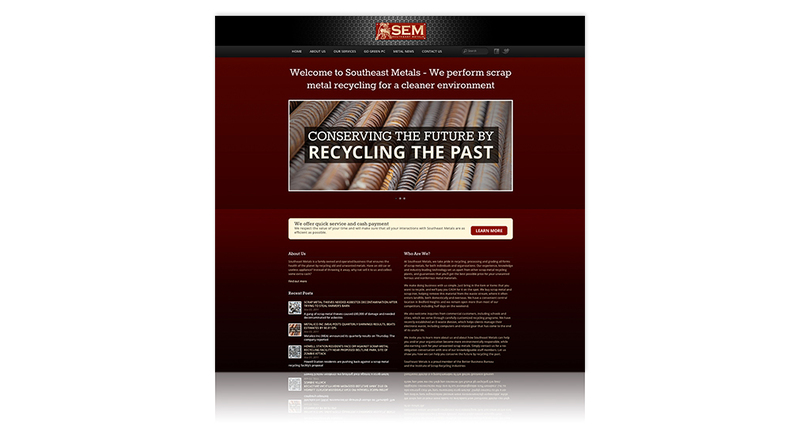 Southeast Metals is a friend of the environment, specializing in the recycling of old metals and computers that might otherwise be shipped off to a dump. It may be hard work, but for SEM, that didn't mean they couldn't still look great with a little bit of dirt under their nails. 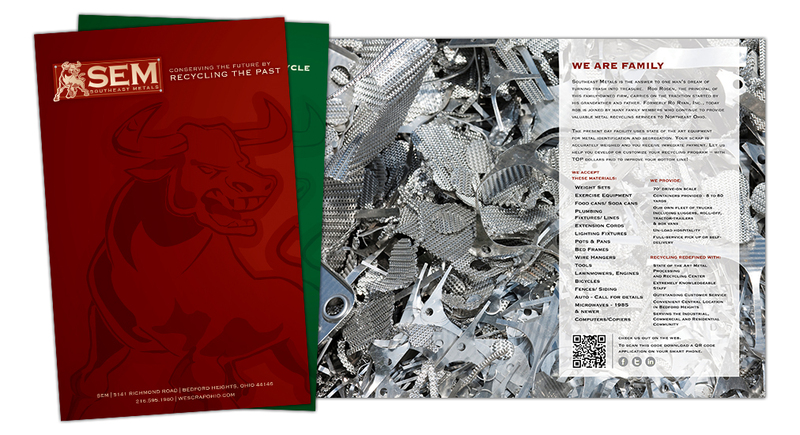 Two logos were developed around the old Southeast Metals bull: One for the metal scrap division and the other for Go Green PC. Marketing materials used just enough text over large imagery that literally creates eye-catching patterns out of junk. 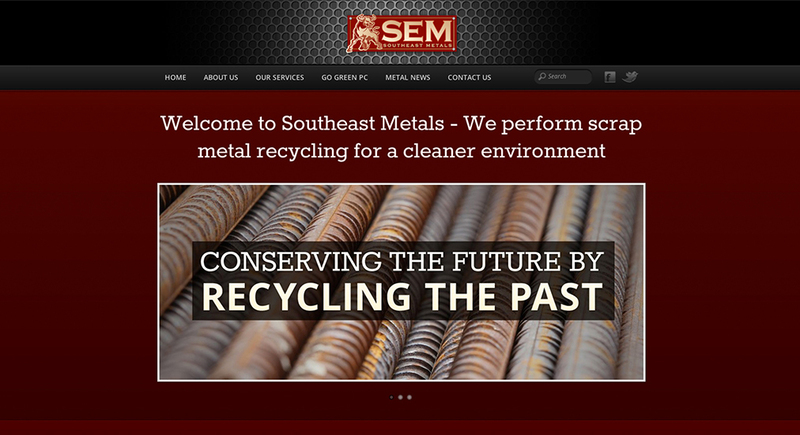 Quez also redesigned the old Southeast Metals website, creating a dark, visually stunning website that lets visitors know that this company has great taste and is comprised of the utmost of professionals. wescrapohio.com remains the most beautiful site in its industry.